Anyone that still doubts Brooklyn will be a very different looking (and feeling) place in a few years, might want to take a look at these renderings of the City Tech Tower that Bruce Ratner wants to build at Jay and Tillary Streets. 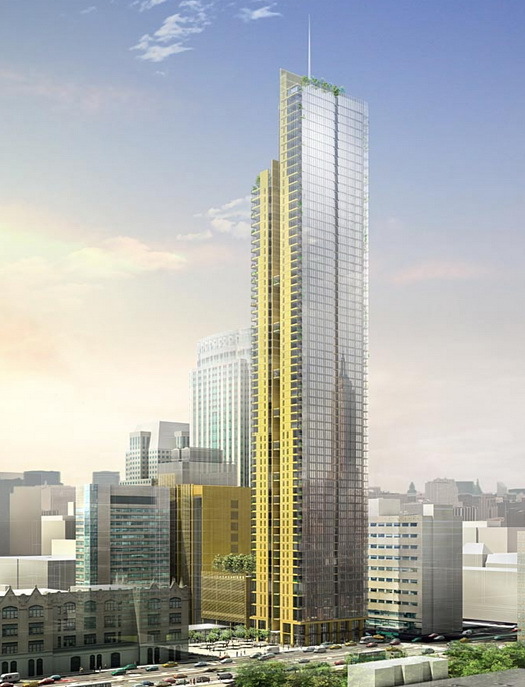 The rendering made the rounds yesterday after it was first posted on the Wired New York Forum on Thanksgiving Weekend and then picked up by the 110 Livingston Blog. It is widely noted in print media followups today. The building will be very glassy (note the Empire State Building reflection) in the tower and quite tall. The estimates on Wired ranged from 850-1,000 feet. Jotham Sederstrom reports in the Daily News that the rendering "may not reflect the developer's current vision" for the building. Even at a reduced height, however, it may still be taller than the Williamsburgh Savings Bank building. 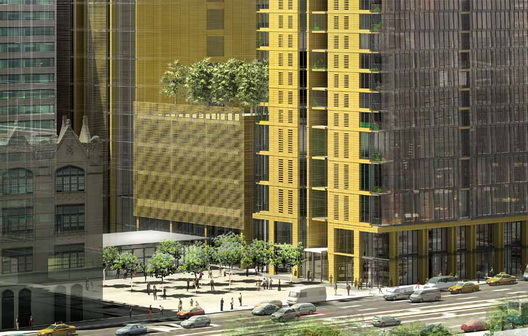 "may not reflect the developer's current vision"
Read: Ratner building. Will end up being considering uglier. Battle of the Beans: Brooklyn Coffee War Brewing?